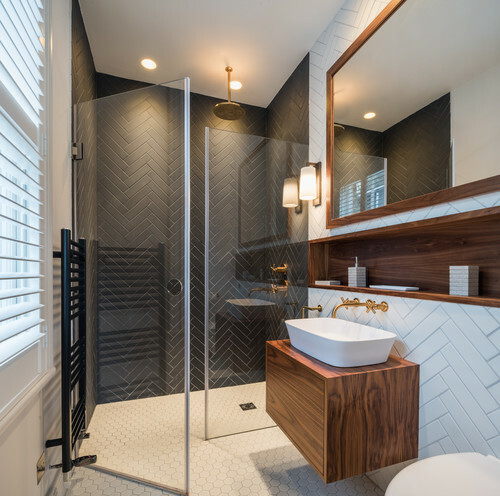 The Top 7 Bathroom Trends to make it the best room in the house. 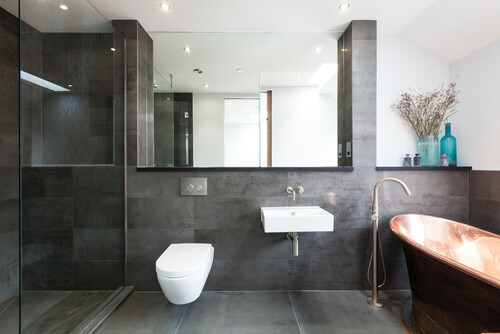 Bathrooms tend to be one of the rooms we neglect as its expensive, messy and the thought of having no shower or bath for a few days whilst the work is carried out puts people off. Below I have detailed some of the trends that will make you go running to the Interior Designer to have them design this for you. All of these can be achieved with a well thought out design. Bath for two people. The ones with no taps at one end so (usually the man) gets the tap end with the hot and cold tap stuck behind his ears! 2. Waterfall Shower Heads. I love these style of shower heads. They look very contemporary. 3. Mounted Shower Heads. No pipes or shower attachments on show! Absolute bliss. 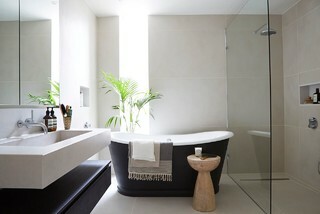 This goes back to clients recommendations of wanting the bathroom easy to clean. 5. 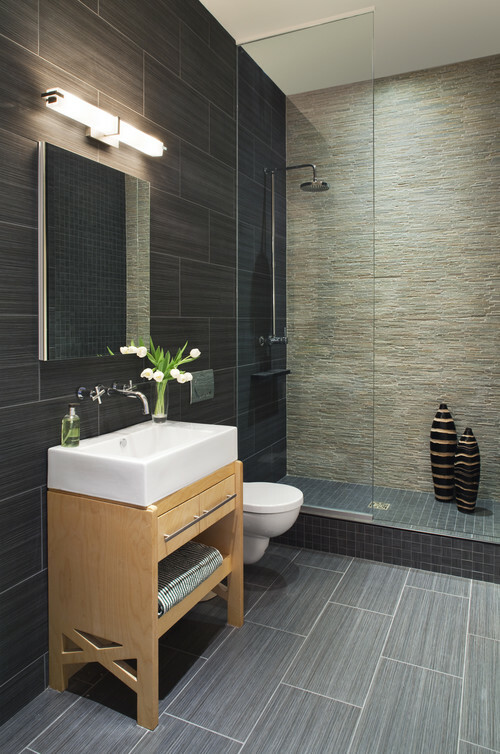 Dual Showers – No more waiting for the other person to get out of the shower so you can get ready. Just hop in together! 6. 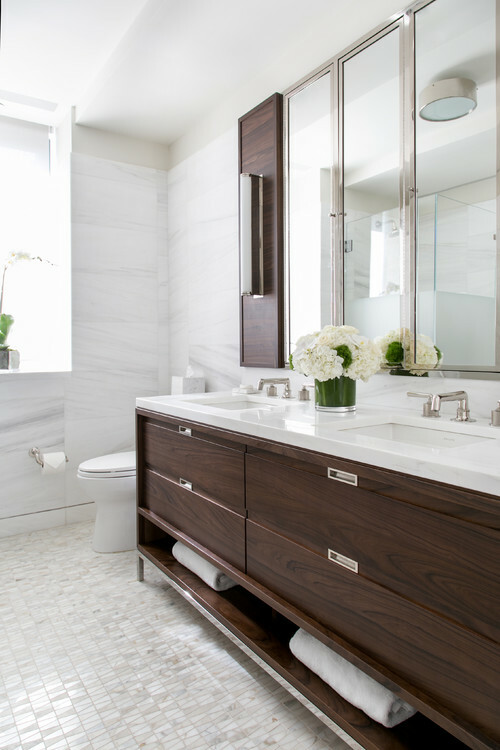 Double Sinks – Again this is an absolute must when renovating your bathroom, if you have the space. No more brushing your teeth over the other person washing their face! Hope you enjoyed reading this. 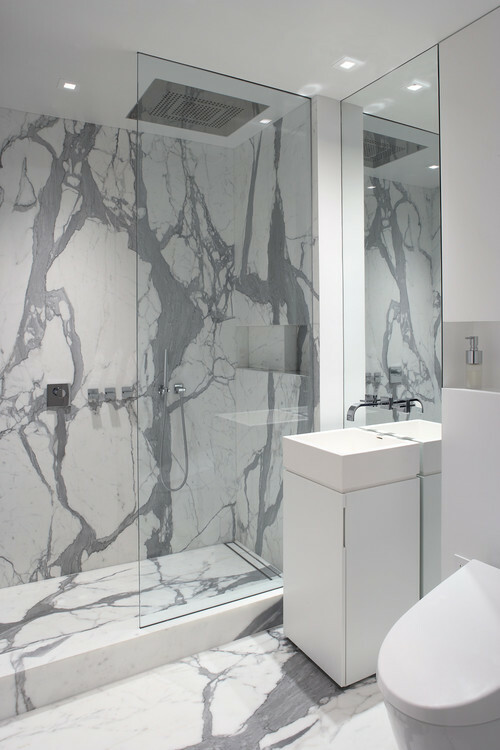 To check out next weeks blog on top bathroom trends for the walls and floors, please sign up to our newsletter to receive this in your inbox.